It’s been a very productive couple of weeks for us and we are so excited to share the progress we have made! First and foremost we have been able to attend and participate in some great events recently. Ari and Rachel had a great opportunity to speak to a group of students at Warm Spring Elementary about our MFC technology and starting your own DIY science projects at home! We also had a great time attending the Design for Food Security event in San Francisco this week, where we got to learn about the ongoing effort to implement changes in policy that will allow good technologies like urban farming to grow. 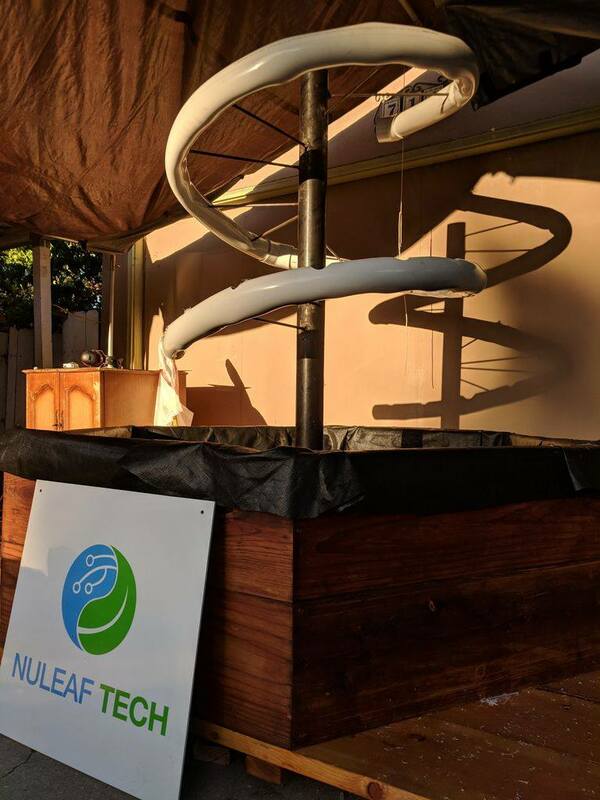 We are thrilled to announce that we have been able to attach our pipe system to our NuTree basin! This is a major milestone in the NuTree construction as the core structure of the system is now complete! 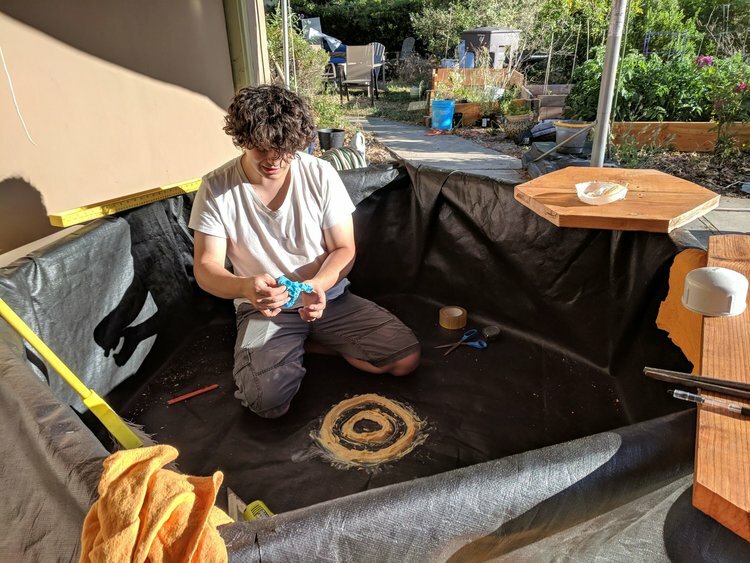 After completing the pipe system we had to grind down the bottom of the NuTree “trunk” before it could be fixed to the basin. Then all that was left was to prep the basin and we were able to attach the pipe system just yesterday! This is a big step forward for us and we are happy to be able to share it with you all. In the coming weeks, we will be adding some internal irrigation pipes and an entry chamber that will help to more efficiently break down solid waste. After that, we will be filling the pipes with plants and we can start testing the system on our own homebrew beer! There is still a little more work to be done with our MFC stacks but we are making good progress and we will have more to share on that soon! For now though, we appreciate you all checking in on us. Be sure to follow us on social media for weekly updates on progress and events and, as always, we thank you deeply for your ongoing interest and support of our work!